The UnLimbited arm around the world. 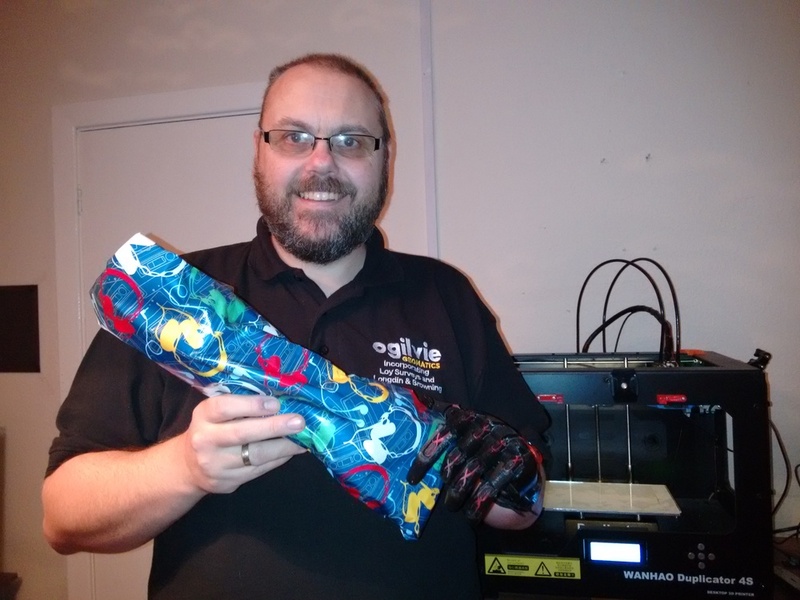 Since we released our UnLimbited arm on Dec 24th 2015 we have seen much going on behind the scenes with our new arm design in the e-Nable community, but at only just over 2 months after it's release we are starting to see them being put to good use around the world. High school students in Ohio, USA who have been building our arm for one of their recipients. Mike Li, fitting the first recipient in Hong Kong with our arm. "Thank you so much for all your efforts to make it happen and make it available for everybody. I don't know how to post pictures or news about the arm reaching Sierra Leone yet. Internet here is intermittent at best. We are still exploring at this stage. There are literally thousands of amputees here as a results of their 10+ years of civil war. Luckily I found a healthcare volunteer who gained the trust of an amputee village here. Many NGOs have come to fundraise here in rural SL, but not many have delivered the prosthetics they have promised. Many folks here lost their hands and wrists. The need for new prosthetics is enormous. I hope the UnLimbited arm will regain some trust from the locals and inspire more volunteers to do the same. So a BIG BIG BIG Thank You to you and Team UnLimbited!!!" We have also seen wonderful themed versions of our arm, like the "Wonder-woman" arm above by John Diamond. This Phoenix hand and and Team UnLimbited arm are headed to the Dominican Republic with a group of Rotarians from Portland, Maine. These Rotarians go down there once a year to fit LN-4 arms for those in need. Dean Rock, an E-Nable volunteer has been working with this group. He has been developing an adapter that would allow an existing LN-4 arm to accept an e-NABLE hand at the terminal end. Dean also wanted to provide the Rotarians with a hand and an arm so the Rotarians could assess opportunity for working with the Enable Community Foundation to leverage e-NABLE designs with doctors and clinics in the area. Dean asked Justine and John Diamond if they could provide the hand and the arm when he had printer issues of his own. Of course they said yes! We will have our first feedback in a couple of weeks. I'm on pins and needles waiting to hear! 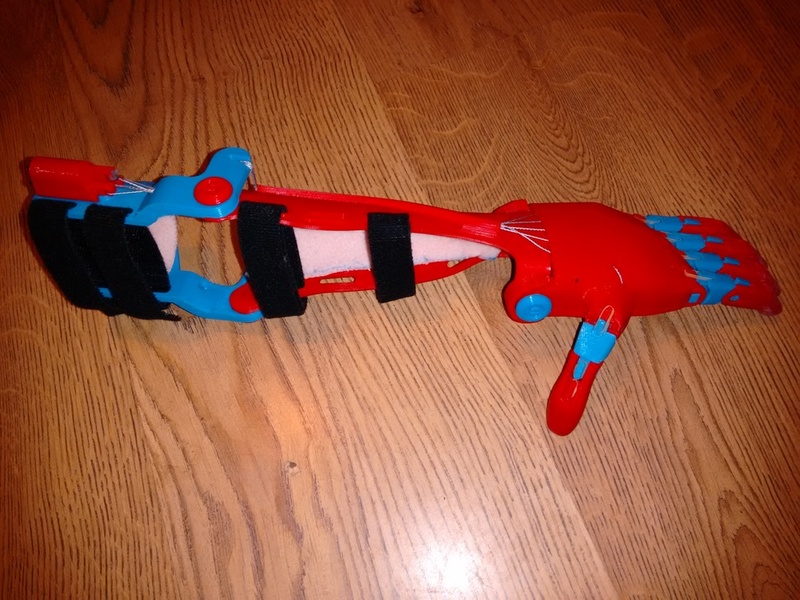 I had the great pleasure of delivering our UnLimbited arm this week to six year old Max in Swansea. Max chose a red and blue arm (superman colours! ).